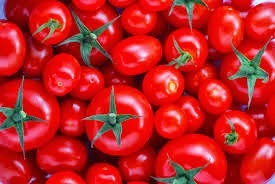 Tomatoes has become one of the main ingredients in our daily food. Tons of tomatoes are pumped daily into the marketand this has resulted in less benefits for farmers. The situation could change, if tomatoes are converted to other products. Preserving tomatoes in dried powdered form is one such method. Krishi Vigyan Kendra (KVK) in Reddipalli, Andrapradesh has developed a technology for preserve tomato as dried tomatoes or tomato powder. Ripened tomatoes are washed in water and then wiped with muslin cloth and cut in into small pieces(68 pieces from a medium sized tomato ) then dry it in direct sunlight by placing it on flat wooden surface or steel sheet. Then the dried tomato pieces can be stored as such in a plastic bag with small holes on it, Or you can store it in a powdered form. One kilogram of tomatoes whn dried it will be reduced to 50 grams. In a dish instead of adding 100 grams of tomato, you need to add only 5gms ( one teaspoon) of tomato powder. Central Food technological research Institute ( CFTRI ) in Mysore (Mysuru) has developed technology for producingother products like Juice, sauce, ketchup, paste from tomatoes. For more info contact at 0821 2514534. 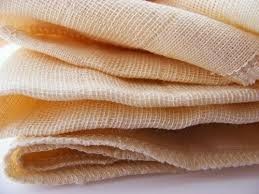 *Muslin is a cotton fabric of plain weave.